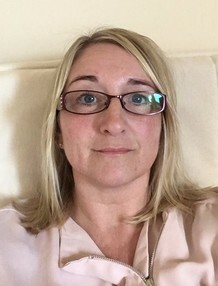 My approach is Person-Centred which means I will not be giving you advice or offering solutions to problems but helping you to explore difficult feelings that may be impacting on your emotional wellbeing and family relationships. I can also use creative materials and therapeutic toys in our work together. I have a Blue Roan Cocker Spaniel dog called Lola who can be part of our sessions if you wish. I also offer Animal Assisted Therapy with a guinea pig. For those that would like to take counselling outdoors, walk and talk counselling is an option and this can be with or without my Therapy Dog. My fees are from £35 for day time sessions and there are limited evening sessions available from £40. I can also arrange to come to your home for a small additional fee and mileage costs. Please contact me to arrange a free 30 minute introductory session where we can discuss your needs further. I look forward to hearing from you - Janet.